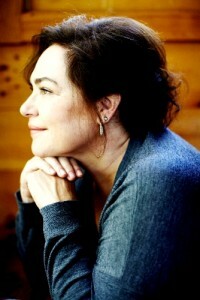 One of the most highly acclaimed authors of our time, Amy Bloom, will come to Chester to read from and discuss her novel “Lucky Us“, now out in paperback. Her appearance, at 9:30 a.m. on Sunday, Jan. 31, is free and open to the public, and is part of the Books & Bagels series of Congregation Beth Shalom Rodfe Zedek (CBSRZ). “Lucky Us,” her third novel (she also has three collections of short stories, a children’s book, and a collection of essays), received almost universal praise. Bloom has been a nominee for both the National Book Award and the National Book Critics Circle Award. Her stories have appeared in Best American Short Stories, Prize Stories: The O. Henry Awards, and numerous anthologies here and abroad. She has written for The New Yorker, The New York Times Magazine, The Atlantic Monthly, among many other publications, and has won a National Magazine Award for Fiction. Her best-selling novel,Away, was an epic story about a Russian immigrant. Bloom lives in Durham, and taught at Yale University for the last decade. She is now Wesleyan University’s Distinguished University Writer in Residence. This program is free and open to the public – no advance registration is necessary. CBSRZ is located at 55 East Kings Highway in Chester. For more information about this program or CBSRZ, visit www.cbsrz.org or call the office 860-526-8920.